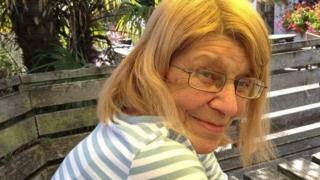 A woman suffering from shingles died after pharmacy staff dispensed the wrong drug to her, an inquest heard. Eileen McAdie was told by her GP she could raise her dose of Amitriptyline to manage her pain. But staff at The Village Pharmacy in New Ash Green, Kent, gave her Amlodipine, used for treating high blood pressure, the hearing was told. Mrs McAdie, 65, died in Darent Valley Hospital, Dartford, in September 2016, after falling into a coma. Shingles is caused by the reactivation of the chicken pox virus and results in a nasty skin rash and fever. Dr Julie Taylor told the inquest in Maidstone she had prescribed an increased daily dose of Amitriptyline to treat the severe pain caused by the shingles on Mrs McAdie's face and neck, on 19 September. But she said pharmacist Josiah Ghartey-Reindorf told her that the wrong medication had been dispensed. He said his assistant, Karen Sinfield, had stuck on a label saying Amitriptyline but on the box itself was printed Amlodipine. Ms Sinfield told the inquest staff had been rushed "off our feet" at the time and she had processed more than 300 prescriptions that day. Dr Taylor said Mr Ghartey-Reindorf had told her Mrs McAdie's daughter later visited the pharmacy and was "very angry". She told staff her mother had fallen into a coma and said words to the effect: "If she dies, it will be your fault." Family barrister James Robottom asked Mr Ghartey-Reindorf a series of questions about checking the prescriptions before they were dispensed. The pharmacist answered: "No comment" to each. Dr Taylor said hospital staff told her Mrs McAdie, whose address was not disclosed at the inquest, had been put on a ventilator in intensive care and was being given medication to improve her blood pressure. But coroner Christopher Sutton-Mattocks said she died in the hospital on 27 September.